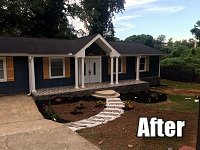 Please join us on Tuesday, September 18th at NOON for the Atlanta REIA Onsite Renovation Group (ORG) to learn all about finding, funding, fixing and flipping houses for big profits right here in the metro Atlanta area. 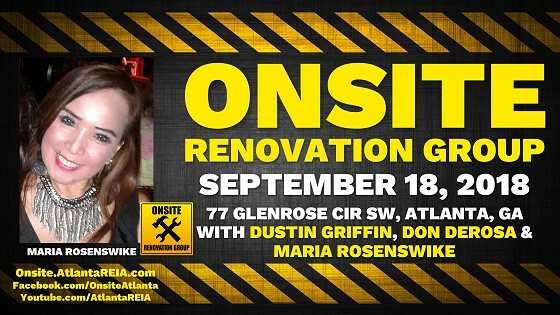 This month’s meeting will be held at newly completed rehab project located at 77 Glenrose Cir SW, Atlanta, GA being managed by Maria Rosenswike who is an active rehabber and frequent attendee at our Onsite Renovation Group. This was a 1032 sq ft, 3 bedroom, 1.5 bath home built in 1963. 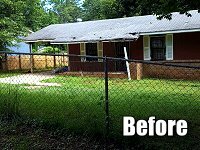 It was a vacant, ugly, run down house that needed lots of updating. Maria gutted the entire house, added 280 sqft for the master bedroom, changed the roofline, added a new front porch, a 12 x 16 deck in back, new fencing and a gate. Everything is new from roof to foundation… new flooring, new tile, new sheetrock, new electrical, new kitchen, new baths, new outdoor living space, new everything. At the meeting, you will see how Maria transformed this old house into a modern day home that buyers are looking for. Maria also renovated the house next door which recently sold for $210K at the end of June. So join us and come see this house now before it’s sold and learn some valuable lessons on how Maria did it!